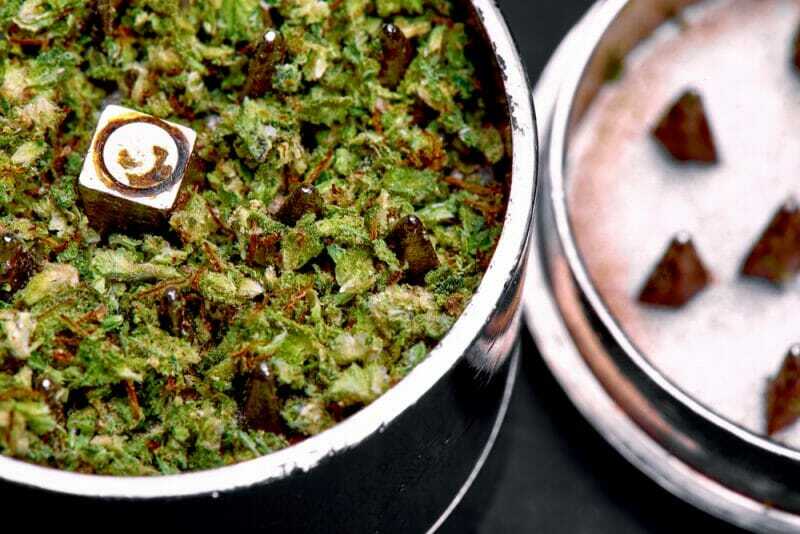 A grinder is one of the most valuable tools that anyone who smokes dry herbs can have. Without it, you have to go through the messy and drawn-out process of breaking herbs into smaller, smokable chunks every time you want to smoke. However, not every grinder is made the same, and buying a poor quality one could end up with you shopping around again and again until you find a product that lasts or works specifically for your needs. In order to avoid learning what works and what doesn’t work the hard way, use this brief guide to learn more about what grinders are, how they function, and which features you should be on the lookout for. One of the most important features of a grinder is the number of chambers or sections that it has. At the most basic level, a normal grinder has two sections: the top section and the bottom section. These two sections attach together and rotate so that the herb can be ground between the device’s teeth. The herbs are then trapped inside and can be removed so you can start smoking. Keep in mind that when you have a grinder with three sections, there is an additional chamber that helps catch all of the ground-up materials produced by the grinding process. This way, you don’t have to deal with constantly scraping the stuff out of your device. With a four-section grinder, which is generally the most complicated that you can get, there is an additional chamber to catch all of the crystals that fall out of the herbs. These can then be used to create more potent smoking products once a large enough amount is collected. As with most products, there are quite a few materials that grinders can be made from. The cheapest types of grinders are acrylic grinders, which are easy to get and equally easy to use for the person who needs an easily accessible product which they can use on the go. The next step up is plastic grinders, which have a poor reputation in the community (in terms of overall quality, at least), but are still great grinders to help get you more accustomed to the process. At the next level, wooden grinders are sturdy and perfect for those who enjoy design (even if they do not last as long as other products). The most recommended grinders come in metal materials such as titanium, aluminum, and stainless steel. Metal pieces like Roor grinders last longer, work more efficiently, and are easier to carry around. Beyond what we’ve already mentioned, there are certain features you may expect from your grinder. For example, are you looking for a grinder that you have to manually turn, or do you want an automatic grinder that does the work for you? How many teeth do you want in your device and what shape do you want them to be? Are you looking for a grinder that has a magnetic closure or other useful features for when you’re in a hurry? These are all things you need to take into consideration when you’re looking for your first grinder. Overall, getting a grinder is a process that requires careful planning and thought. As you learn more about these products, you can make more educated decisions when you eventually shop around for your own.